As a break from the crunchy, heat-damaged sponge that is my garden, I want to show you some other plants. 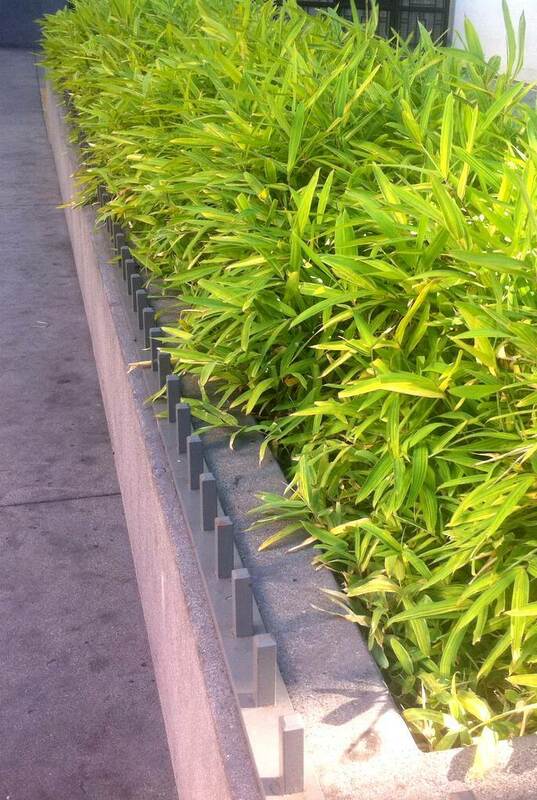 I spent a few days in the Los Angeles area last week and while in Hollywood I got to see some bamboo. 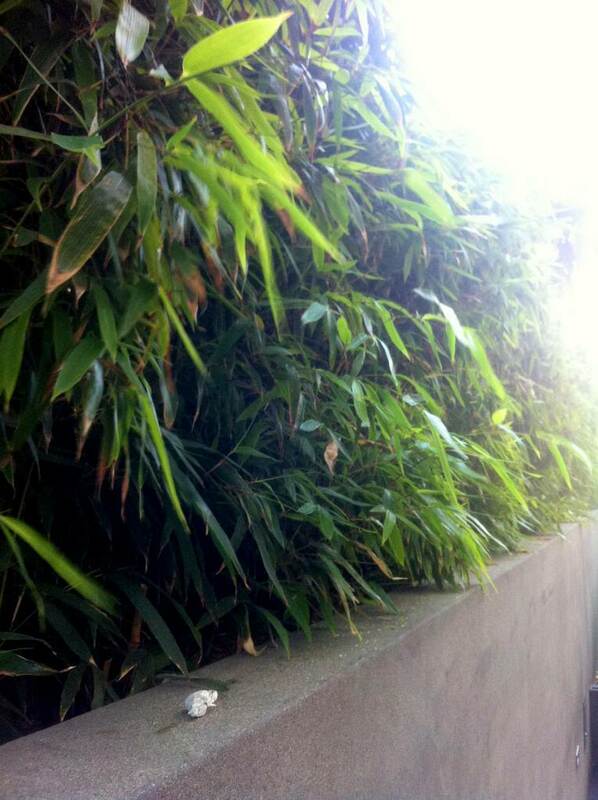 That planting looks like it needs a little water, but otherwise a perfect spot for bamboo! Quite nice, and the low-maintenance greenery really softens up this area which is at the entrance to the Hollywood/Vine Metro station (and the entrance to the W hotel). 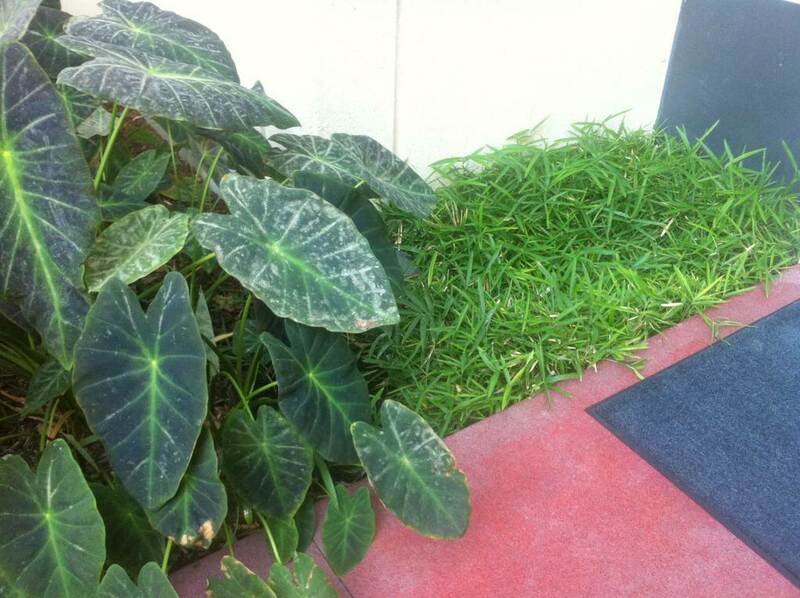 There would be a lot of concrete here without the plants. That's Pleioblastus viridistriatus, which gets that beautiful yellow coloring with green stripes. The color isn't so fresh and vibrant after spring, but it's still a wonderful bamboo. Plus this specimen looks so much better than mine which is getting bleached and burned from the heat and lack of water. Shoot, I wasn't going to talk about my plants, was I? 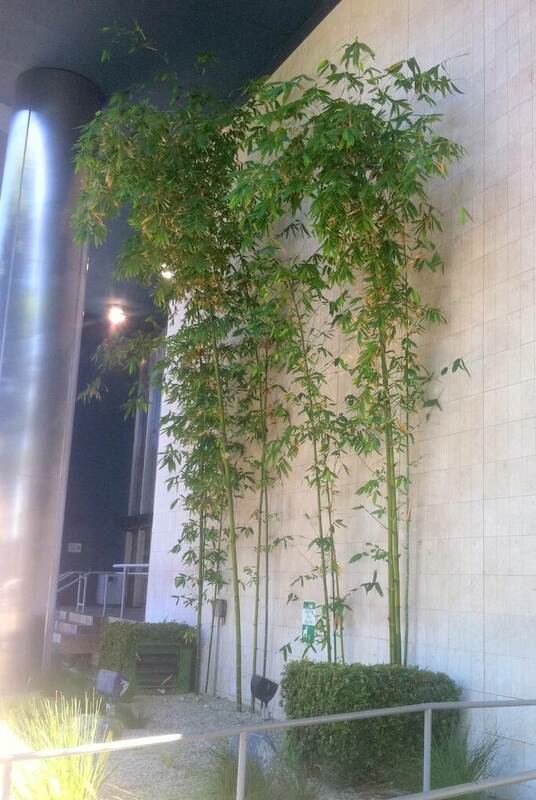 The great thing about all of these plantings is that they're completely contained -- there's no way for these running bamboos to escape and take over any adjacent plantings as they're surrounded by concrete. Either that's a brand-new planting, or they do some severe shoot and culm removal every year to keep that sparse look. A bit of pruning to control height it looks like too. 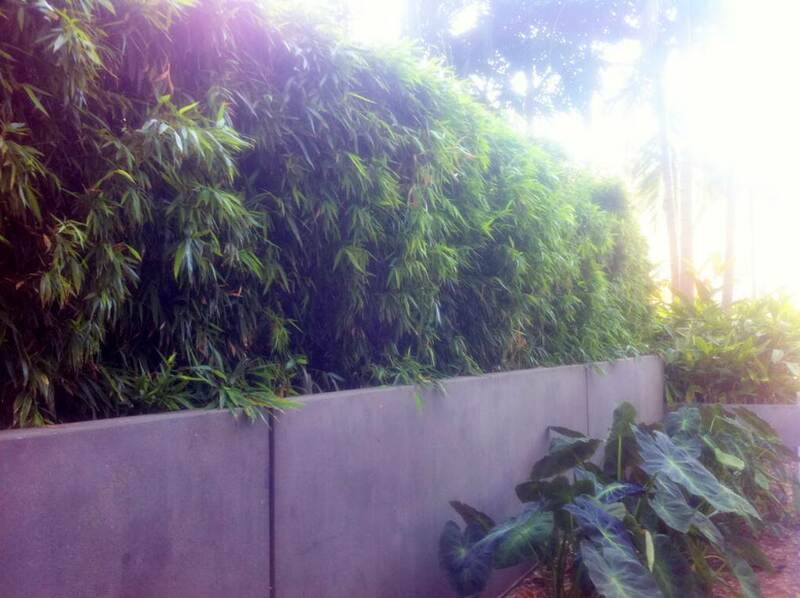 I love the way the bamboo softens and shades the wall without being "too much". I know from previous trips to Southern California that bamboo is commonly found everywhere, but I still get excited when I see it -- especially when I see three different varieties planted in one spot like at the W.
I think I'll have to add at least one of these as a great example of where you should plant bamboo on my not-too-frequently-updated Tumblr blog: put bamboo here. 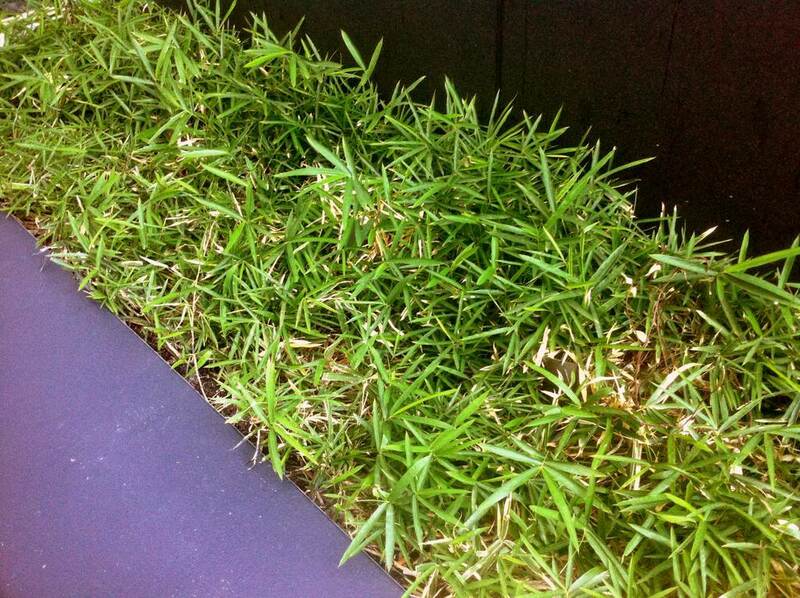 Thanks for sharing, Alan, I wish bamboo were used that way in my area, it looks so wonderful!